University is generally regarded as one of the only reliable options for anyone who wants a career. At school, it was often implied that failing to make it to university and get a degree will mean a life of uncertainty when it comes to work, and practically no ability to develop a career in anything meaningful. Growing up in a family that immigrated for the sake of my education, along with 6 years within the British education system, did a lot to reinforce that perspective. This put pressure on me to figure out what I was going to study, get the right grades at college, and go get the degree I felt I needed to have. Getting to, and studying at, university works perfectly well for some and I don’t mean to say that traditional education is flawed for everyone, but somewhere around the age of 13 or 14, I started learning to write code from online courses and Youtube tutorials, and as my education progressed, I found that where I found learning school curriculum to be difficult and confusing; working on my own little software projects was easy and rewarding. 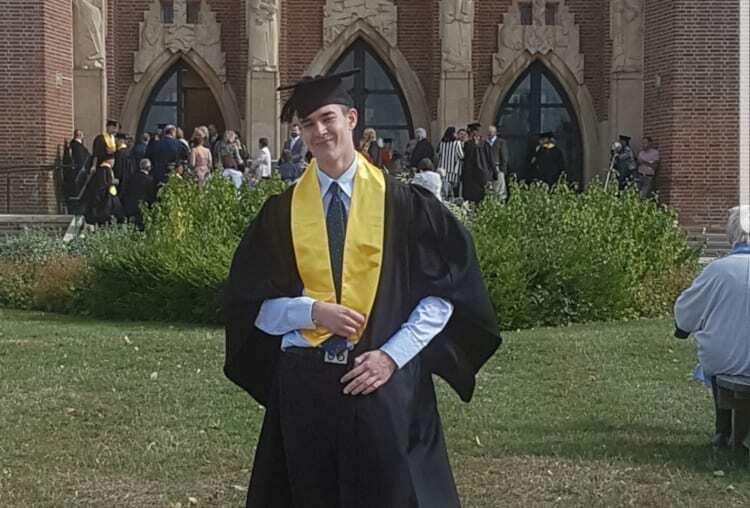 By the time I reached year 13 in college, I knew that university was not for me, but as I was not aware of apprenticeships, I worried that the career in software development I wanted was never going to happen without a degree. When I hear apprenticeships praised and advertised, I often hear that with an apprenticeship, you learn while making money, avoid being burdened by student debt, and get to start your career three to four years before your peers at school. A huge number of people find school even more difficult than I did, and the reasons that keep them from performing at school do not necessarily translate to them not being able to perform within careers they might want to pursue. Being bad at learning at school does not make you bad at every career that school could lead you to, and by bridging the gap between competence and career. Apprenticeships give those people who may have spent their lives working dead-end jobs because they weren’t suited for a traditional education the opportunity to have careers within fields they are interested in, with the only actual requirement being a genuine commitment to that career. To learn more about Invotra’s apprenticeship opportunities, click here.